It’s a rare, rainy (and I mean near horizontal) day in San Francisco and my brain naturally chooses to ruminate on why I dress the way I dress. The satisfying answer I want to share with you is that I dress from my emotions. This phrase was taken from one of my favorite menswear websites and deeply resonated with me when I first read it. The emotional satisfaction I get from dressing up is similar to what I feel when I’m on the dance floor. For others, the act of dressing up is a means to an end: one dresses up for certain occasions, to look professional at work, or to look their best for a night out. For better or for worse, that is not me. I’m breaking the rules that I once swore by, but that’s actually my favorite part of this hobby. When I first got into clothing, my end-goal was to improve my image. I had to learn the rules of how to dress well and ultimately look good to the untrained eye: clean lines and an inoffensive, slim silhouette that hid my gut. Then a breakthrough happened in 2015. I bought a coat off of a raw denim subreddit that looked like a peacoat, but attached to it was an oversized hood that I could drape over my head to make myself look like a Nazghul...I’m talking about the Kapital Ring Coat! True story, if you look up “Kapital Denim Ring Coat” in Google Images, I am the first TWO images that are returned. In all their grainy, iPhone 6 glory. All jokes aside, this was a pivotal moment in my taste for clothes because that coat led me to embrace the comfy, unconventional, and always wacky clothes that Kojima-based Kapital produces. 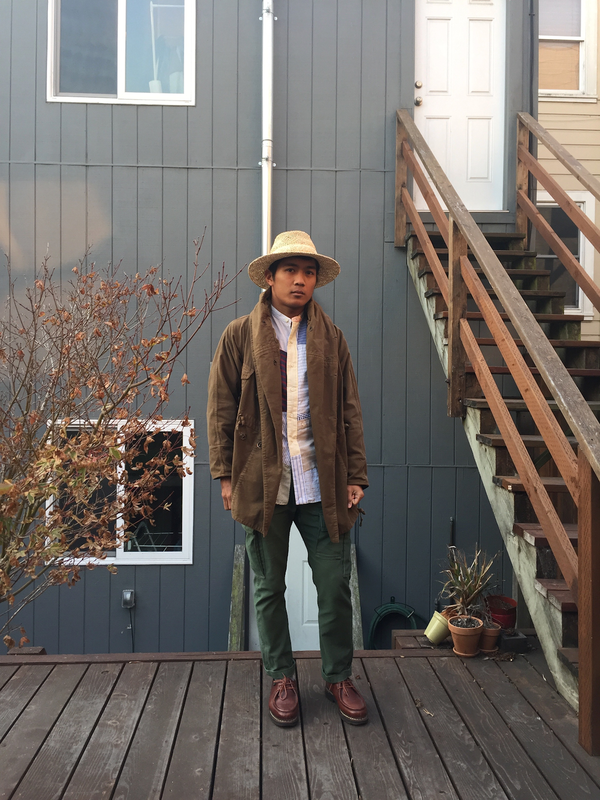 To give you an idea of what these clothes look like: think about classic American staples like an M-65 field jacket or a pair of Levi’s 501. Now place them in the dirt and run them over a few times with your car, dye them in some indigo, then patch on some smiley faces and penguins for good measure. The result is articles of clothing unlike anything you’ve ever seen before! 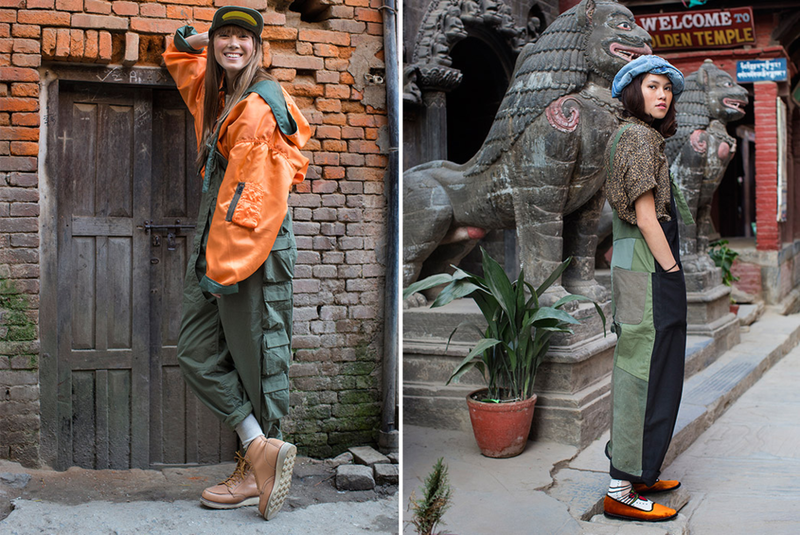 There is a consistent mashing of Eastern and Western influences in their clothes; I’ve seen spreads in their famous lookbooks that detail the Japanese and American garments that each of their creations draw inspiration from. 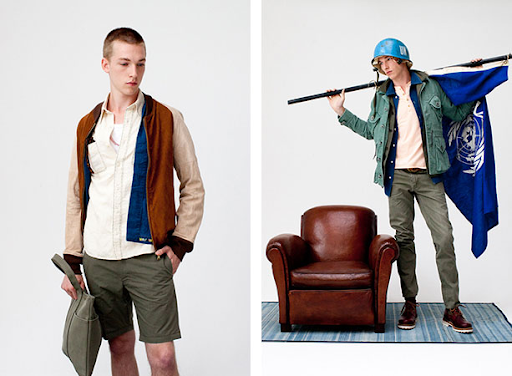 It is in their attention to detail where they differentiate themselves from other Japanese designers who have reinterpreted and repackaged “Americana” to the Western market. On one hand, you have the cleaner, streetwear-friendly looks of Visvim and on the other, the cozy, weird, and huggable clothes of Kapital. The family-owned operation is based in Japan with no plans to expand manufacturing overseas (in favor of quality control); however, this brand has gained notoriety in the West due to its being sported by rappers like A$AP Rocky. Subsequently, the resale value of most Kapital pieces have risen on secondhand platforms like Grailed but it can still be obtained in the Japanese secondhand market via proxy. The price-to-quality ratio on Kapital’s clothes set it apart from its peers and I have not owned a piece of their clothing that has fallen apart. In the following section, you will notice the richness of textures and fun color-blocking shine through the bravado of the models! 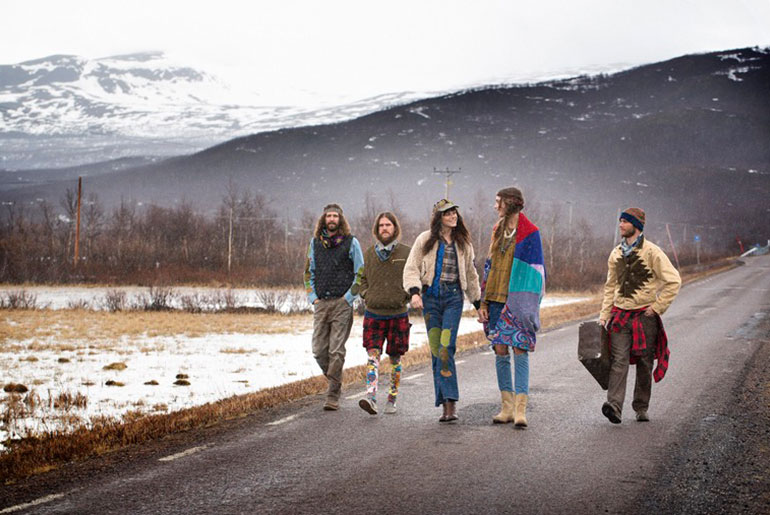 There’s a certain joie de vivre captured in Kapital’s lookbooks (shot at a different location for each season). It’s like Kiro himself is inviting you to become a part of the Universe he and his father have created. I was undeniably overwhelmed when I saw one of their lookbooks for the first time in 2014; I was taken aback by the clashing patterns and the nonsensical silhouettes. However, I had no context of the brand nor any idea of how I interpreted my clothes outside of looking good. Four years later, it makes so much sense. I’d like to make a comparison to high fashion because I was always turned off by how high-brow it is. I could never walk into one of their events and remain still if my favorite song went off, I’d also probably laugh at what other people were wearing. And so what? I think we who involve ourselves in the clothes we wear actively choose to look ridiculous. And I guess that is what’s so freeing about wearing clothes from emotion. Kapital’s mantra of creating clothes that make people happy resonated with me in the fall of 2015 and that has permeated other facets of my life. My getting dressed in the morning is self-love and being able to share that with all kinds of people is a rewarding part of the journey. See more from Marco on Instagram and Reddit.